The Chicago Bulls are a unique franchise in the fact that the team’s look has changed minimally over the years – a list of the different Bulls logos, for example, would be a short one (See this GIF a Redditor created of the evolution of NBA logos over the years). 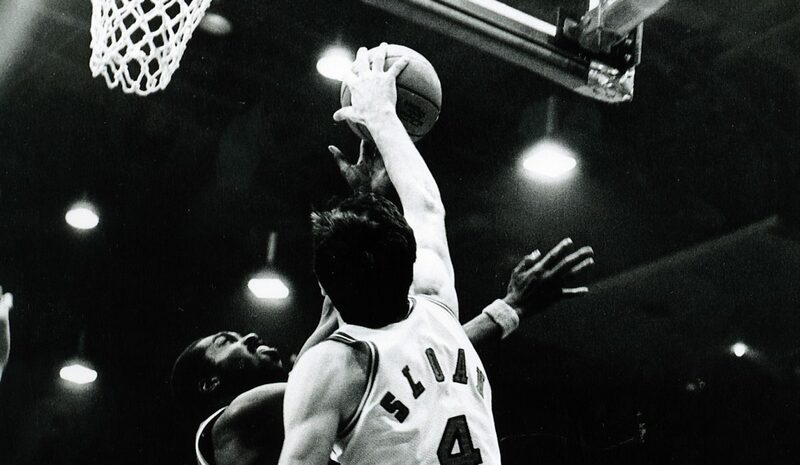 That said, though the jersey and colors Jimmy Butler wears today is very similar to the look Jerry Sloan rocked when the Bull took the floor for the first time back in 1966, there have been some alternate jerseys and different looks through the years – some you may remember, but some might come as a surprise. 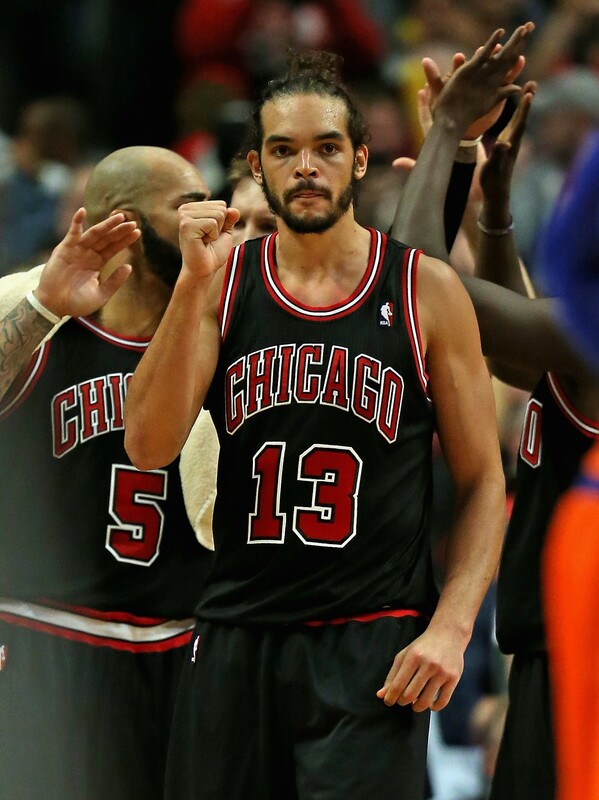 There's a reason the Bulls have maintained the same look for decades. The basic but powerful look of the red road jersey is among the most recognizable looks in all of sports. 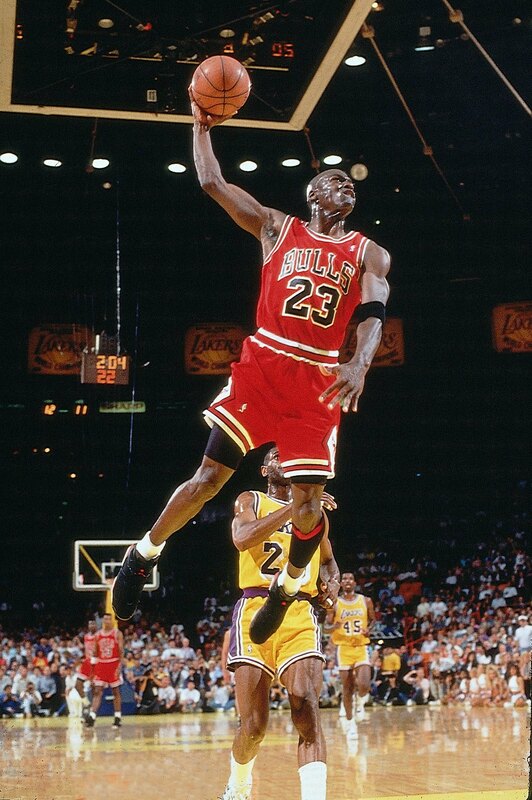 Especially when worn by the greatest to ever play the game. Ah, the 90s pinstripes. 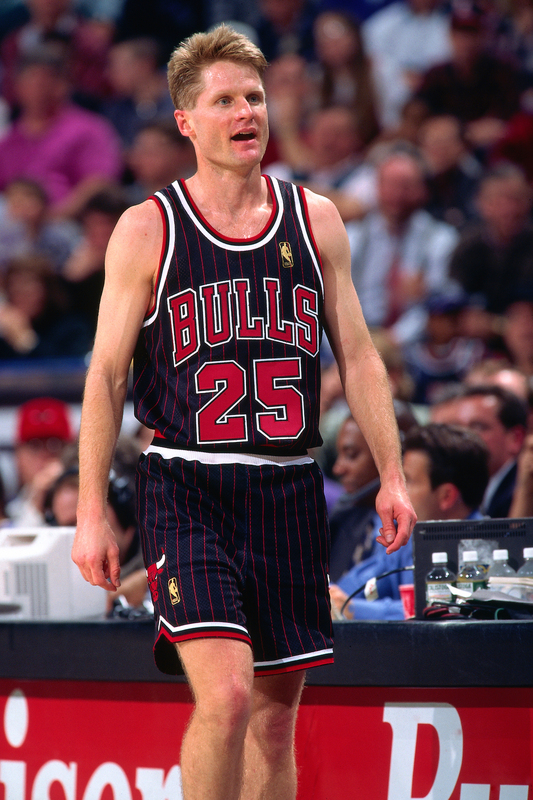 This look, worn circa 1997, is a classic alternate that you'll still see Bulls fans wearing to this day. 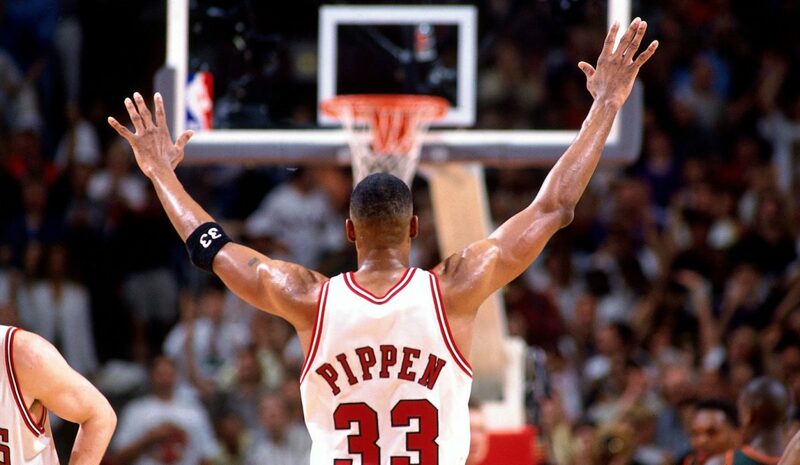 Everyone looks good wearing pinstripes - especially when you're wearing them while you're winning titles. 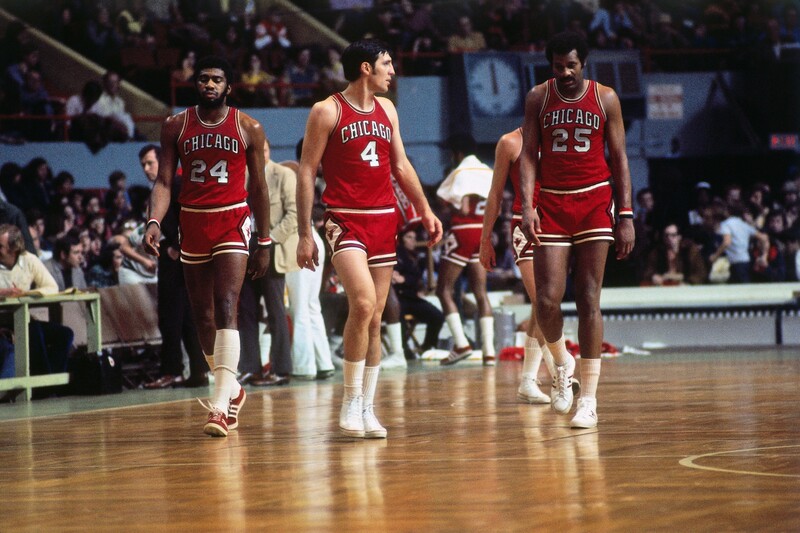 The 70s were a stylish time, with big hair, loud clothes, chains and way too much exposed chest hair, but the early 70s Bulls kept it classy with these simple yet strong red road jerseys. The right word to describe these would be 'timeless' - this clean look would be just as powerful today as they were nearly half a century ago. Minus the short shorts. Bet you didn't remember these. 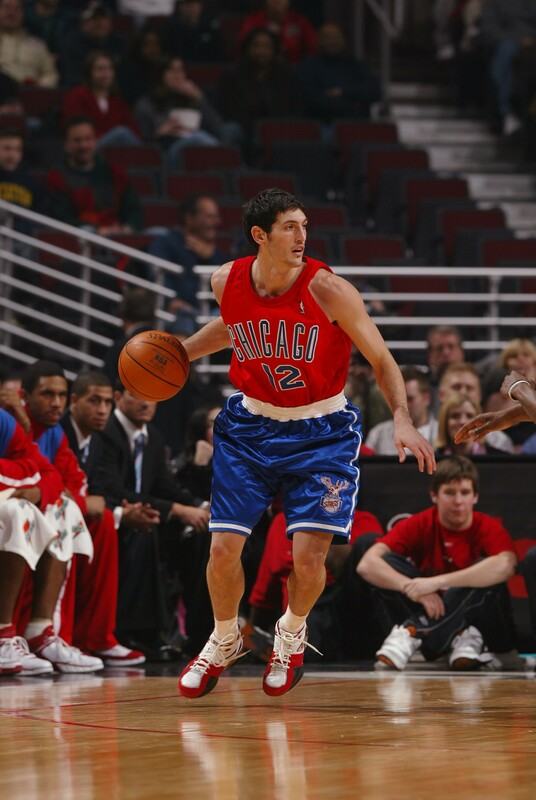 This brave look, with a blue shorts/red top combo, is actually a throwback jersey that tips its cap to the Chicago Stags, the basketball team that preceded the Bulls in Chicago. It's not often you see the multi-colored look on the basketball court...and maybe that's for the best. Sporting new jerseys for each Christmas has become a staple to one of the NBA's signature days in recent years. 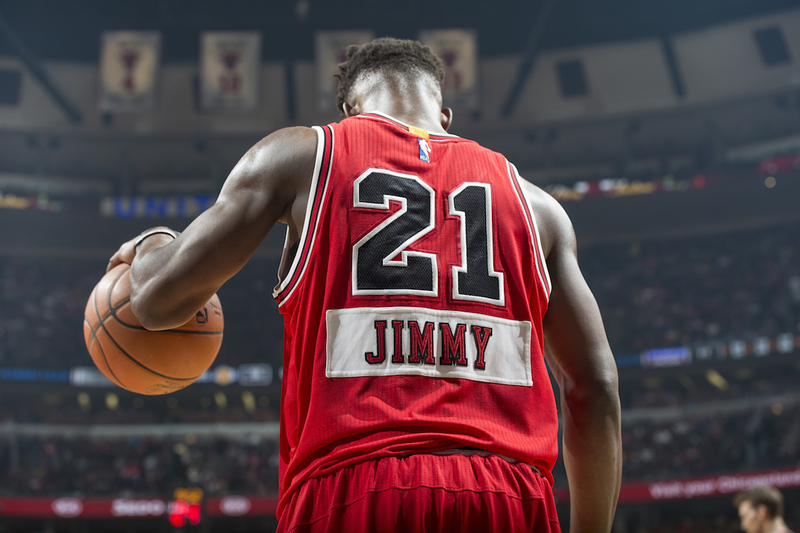 The 2014 look, with the player's first name on the back below the number, was a first for the Bulls franchise. While the first name style may not have been for everybody, it can't be argues that this was a memorable look. 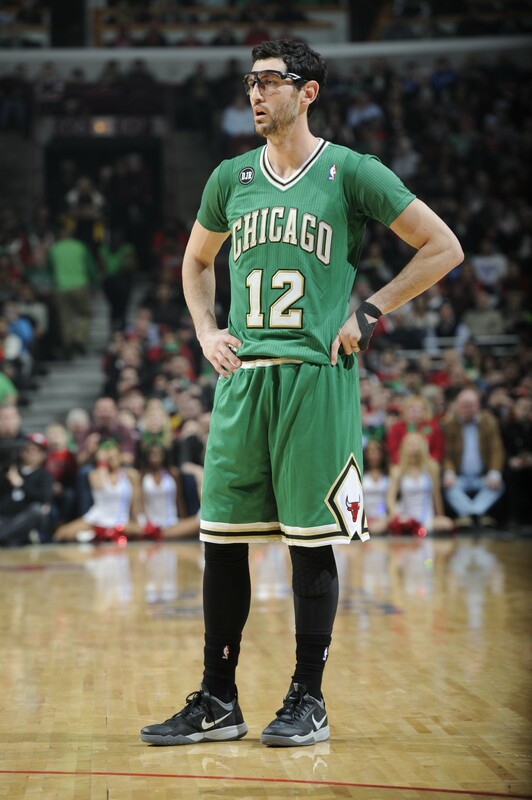 No need to adjust the resolution on your computer - the Bulls wore these green jerseys in 2009 for the NBA's Go Green initiative. While it looks strikingly similar to the early 2010s Milwaukee Bucks jerseys, these threads were one of the biggest non-St. Patrick's Day departures from the norm in team jersey history. 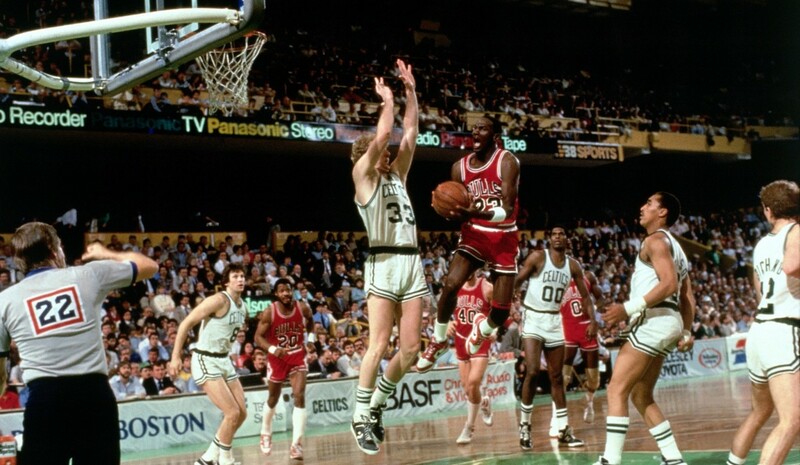 Speaking of St. Patrick's Day, it has become Bulls tradition for the team to eschew its traditional colors and sport Irish green during one of the biggest citywide celebrations of the year (even if it's always a bit strange to see the Bulls wearing green). The 2014 version, combining the t-shirt look with the alternate green, was the most unique of the bunch so far. The ever-popular black alternate jersey has evolved a bit since the 90s, as the pinstripes have gone and, in 2015, sleeves have arrived. However, the classic look that will likely be around for years to come is the simple black jersey with red lettering. Few jerseys have ever repped a city better. 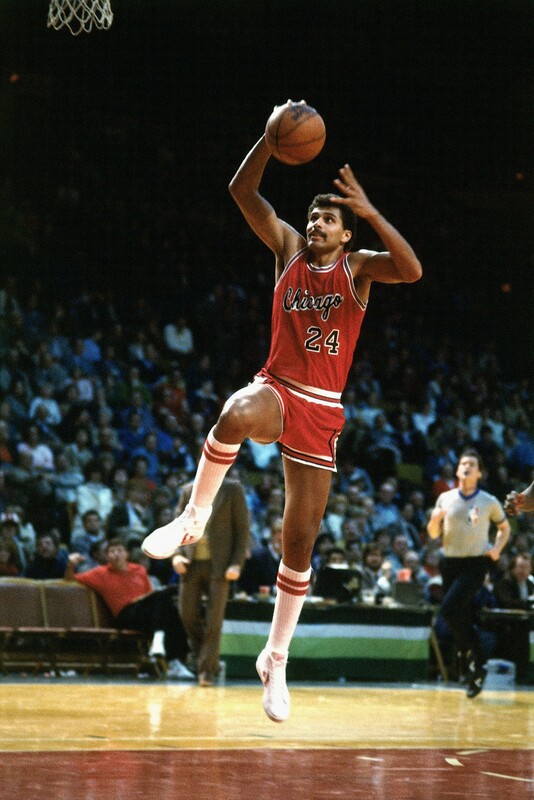 Ah, the classic cursives, seen here on Reggie Theus circa 1979. 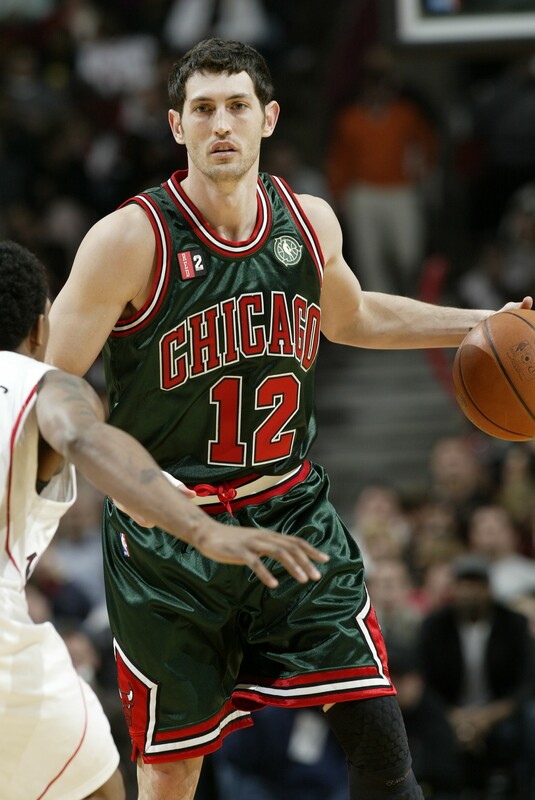 One of the freshest and cleanest alternate jersey design in NBA history, the Bulls are rocking these again this year on each Decade Night. They remain as popular as ever, and deservedly so.